"Don't bore us, get to the chorus." 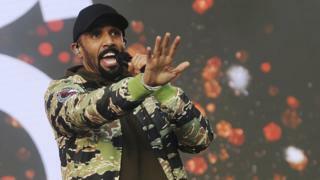 The audience at Radio 1's Biggest Weekend are probably too young to remember Roxette, but they certainly endorsed the Swedish band's motto. From Ed Sheeran to Clean Bandit, anyone who could trigger a mass singalong received a rapturous reception. Craig David had the day's biggest crowd as he raced through 18 years of hits, from Re-Rewind to I Know You. "We're keeping this whole thing moving like a mixtape," he announced. It was a pertinent comment. This audience has grown up listening to playlists on streaming services; and they had no patience for filler. Some of the "cooler" indie bands on the second stage - Wolf Alice and Chvrches, for example - struggled to draw attention away from the acts who'd been programmed against them at Swansea's Singleton Park. (The fans that did show up, though, were treated to two blistering sets). 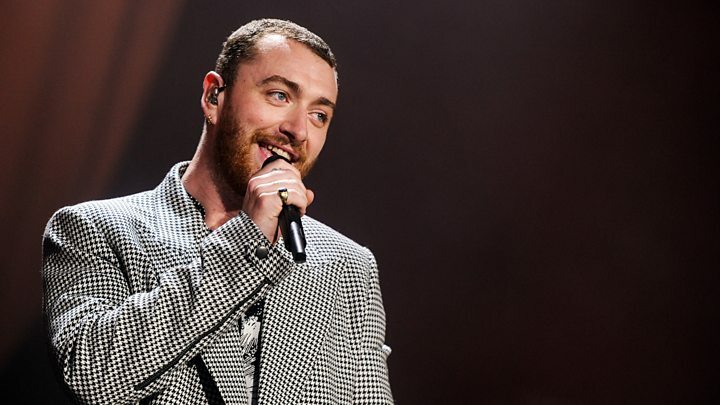 Meanwhile Sam Smith, an act who's as mainstream as they come, was almost drowned out by the audience as he bashed out hits like Lay Me Down and Too Good At Goodbyes. It was a similar story in Perth's Scone Palace, where Radio 2 was holding its leg of the BBC's ambitious, UK-wide Biggest Weekend festival. Liam Payne reveals his "dad bod"
Headliner Noel Gallagher dedicated a large portion of his set to Oasis songs, and finished the night with The Beatles' All You Need Is Love. "Hello, where are we? Perth?" he asked the 20,000-strong crowd. "You had a good day?, Who's been the best so far?" When the inevitable response - "You!" - rang out, he dead-panned: "That is the correct answer." The star played a few tracks from his latest chart-topping album, such as She Taught Me How To Fly, accompanied by French scissor-player Charlotte Marionneau. 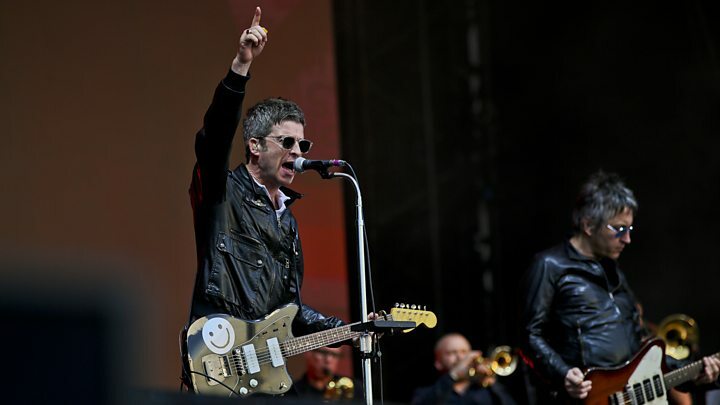 But Oasis's Don't Look Back in Anger, which has become an anthem of both defiance and hope in the wake of the Manchester Arena attack in 2017, prompted the biggest singalong of the evening. Closing his set, Noel appeared to take a dig at brother Liam - who headlines the Biggest Weekend in Coventry on Sunday - by asking if the crowd whether his was the only night of the weekend. "There's more tomorrow? Who gives a..." he said. 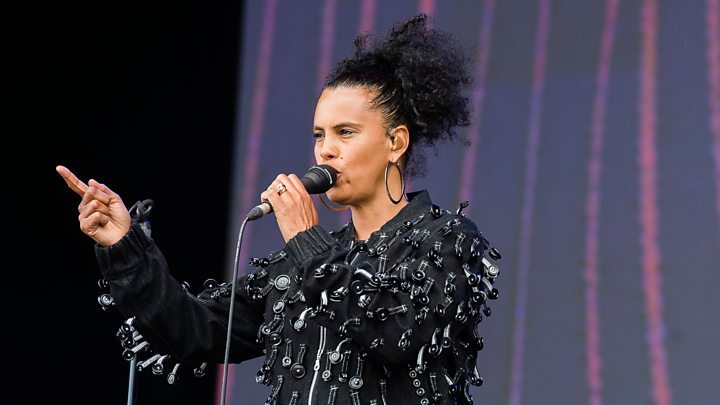 Meanwhile, in Belfast, the crowd were similarly in need of throat lozenges, as the 6 Music stage played host to Neneh Cherry (biggest singalong: Buffalo Stance), Franz Ferdinand (Take Me Out) and Goldie (Inner City Life). Local heroes Ash also played a hit-packed set, including Burn Baby Burn and Girl From Mars. 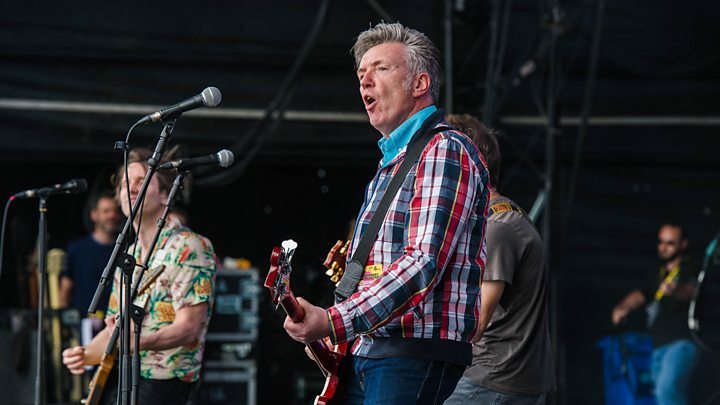 The band finished their set by welcoming "two superstars from Derry", in the form of Damien O'Brien and Michael from punk band The Undertones, who joined them to play Teenage Kicks. And dance band Underworld brought the night to a close with their first-ever performance in Belfast. The two-piece brought their set to a close with a frenzied rendition of their seminal 90s dance tune Born Slippy (Nuxx), as made famous in the movie Trainspotting. Frontman Karl Hyde - who defied his 61 years by dancing around the stage like a man possessed - introduced the track by joking; "We'd like to play a traditional Essex folk song in this city for the first ever time". 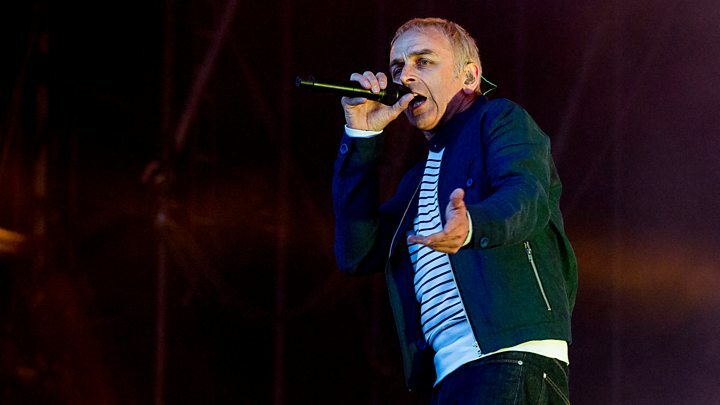 Underworld also premiered a new song, Bells & Circles, a collaboration between the band and rock legend Iggy Pop. Artists on Sunday's line-up will hopefully take note of the day's proceedings and re-write their setlists to focus on the big hitters. 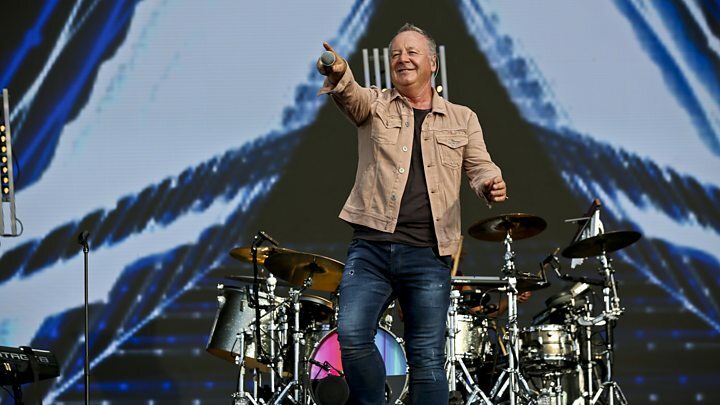 Swansea will see performances from Taylor Swift and Camila Cabello; while Coventry's War Memorial Park will host the likes of UB40, Paloma Faith and Liam Gallagher. Full coverage of the festival is available on television, radio and the BBC's dedicated Biggest Weekend website. Additional reporting by Kev Geoghegan and Paul Glynn.